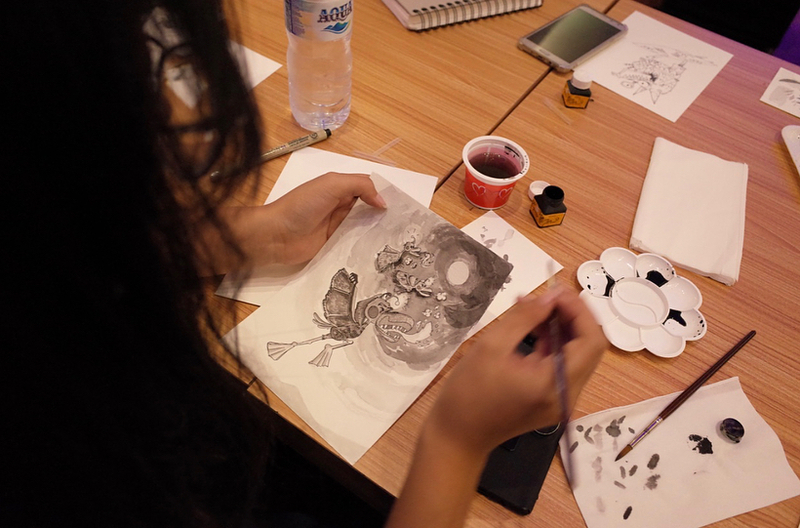 Learn how to express yourself through watercolors. Discover the joy of watercolor as you explore many techniques and a variety of subject matter, while focusing on the elements and principals of art with professional artist and Monez. We're holding “Traditional & Handicraft Festival” starts from 14th June to 1st July 2018 at Seminyak Village and we would be delighted to see you there! Seminyak Village presents "Inspiring Woman- Kartini's Day". The event will start with a Woman Bazaar starting from 20th -26th of April 2018 and A FULL DAY ACTIVITIES on 21st April 2018 as a major national day of celebration to appreciate all the Indonesian woman who has a strong independent character. . Specifically, the show on the 21st April 2018 we will invite the following notable women from Indonesia to share information about their career paths and promote the important role of women in their field. Celebrate joyful Easter with @SeminyakVillage! Sign up your kids to our Easter celebration—“Baby Gym Easter Festival”—on 1st to 8th of April 2018 start from 11am to 5 pm with so many fun activities for your little ones! The activity will start with Baby Gym Competition at the Atrium area, before moving to Easter Egg Hunt. They can demonstrate their creativity with the Easter Giant Egg Painting competition,kids coloring, followed many exciting activities such as Karate kids performance, face painting,fashion show, kids modern dance performance, balinese dance, children's storytelling and music performance. We welcome all couples to "Bali Wedding Fair 2018" from 1st to 3rd March 2018 who are searching for their perfect wedding venue, wedding planner, photographer, signature perfume, makeup artist, gowns, gift &souvenir, and entertainment to celebrate such an memorable and intimate day with family and friends. Seminyak Village proudly present “Spring In The City Fair" starting Friday, 12th to 18th February 2018. Come celebrate Chinese New Year with us and enjoy barongsai show, music performances, festive pop up shops, and redeem LUCKY ANGPAO”. The Christmas season brings many reasons to celebrate and gather. Share your love and joy with friends and family this year. 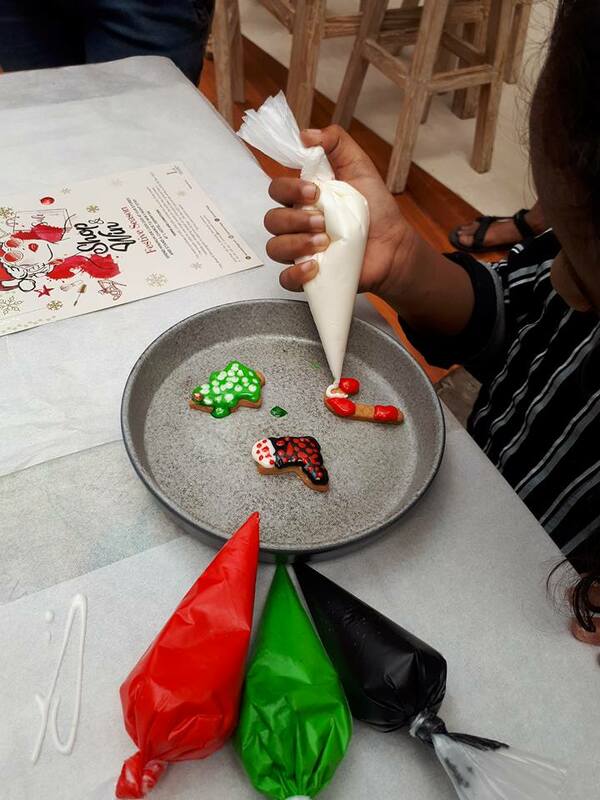 An an Afternoon of "Christmas Spirit celebration" on the 16th December 2017 from 11am- 3pm, filled with interesting activities; face painting, meet &greet with Santa, kids coloring, Christmas cookies decoration by Grow Restaurant (FREE), ice cream decoration by Paletas Wey (FREE), finding Rudolf the Reindeer game, caroling and we’re offering one lucky winner a night at Sofitel Nusa Dua Bali for Fancy Fair, Parents costume competition. Seminyak Village 2nd Anniversary "Fashion Meets Art" in Conjunction with F People inspired by Fashion, Art & Music. 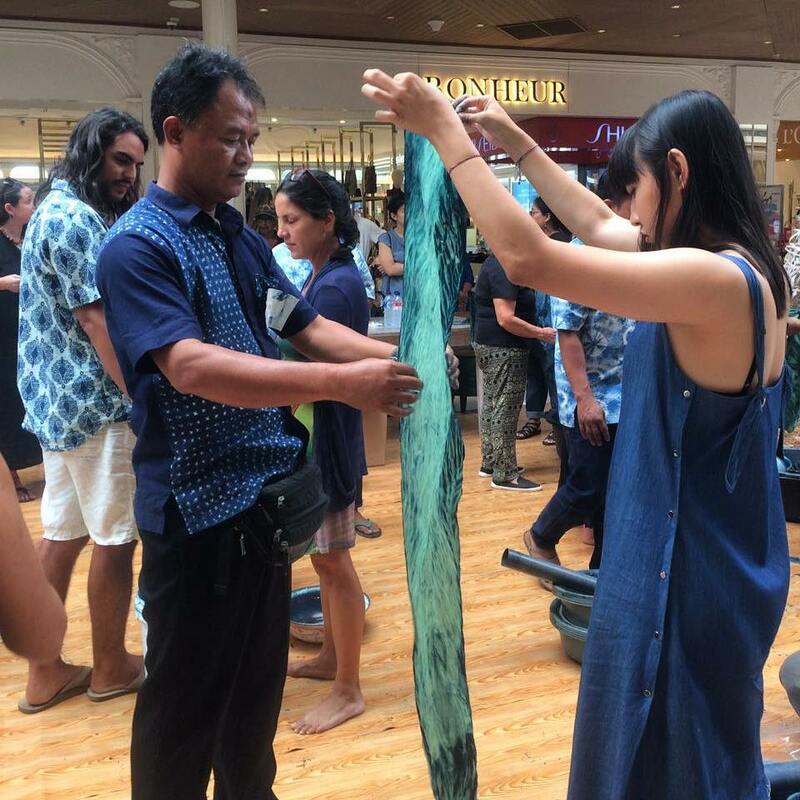 Expect Trunk Show, Mannequin Installation, Photo Exhibition, Photo Competition, Art Workshop, Charity Event for Mount Agung, Music Performance, and and many more! in the local culture, interact with incredible craftsmen and learn something new to take home with you. Seminyak Village is your home away from home and is filled with Global Villagers that share our love for eating, shopping and playing! A place you can come with friends, or to meet and connect with new people or maybe even spot someone you admire! Check who we #SPOTTED this week, recognize any of these familiar faces? Don't forget to #SeminyakVillage on your posts as we love seeing your pictures at The Village! Last Sunday we had the pleasure of having the beautiful Liv Lo teach two back to back yoga classes at The Village sharing her signature HIIT Yoga Flow class followed by a Deep Stretch & Restore. Thank you to all the superstars that came and flowed with us, especially for those that did yoga for the first time! You’re on holiday and of course you adore your hotel spa but if you’re out and about in the island hear and really need a beauty make-over, Seminyak Village is your one-stop rejuvenation centre. Step into its air-conditioned environs and experience our Three Steps to looking Instagram-vacay ready. Relax: First, head up to Spring Spa. Tucked away on the rooftop and with the ocean within view, Spring Spa is a modern-day sanctuary, a veritable oasis, with pools of water, and chic stone and wood design elements that intersperse seamlessly. The creative mastermind behind Spring’s design, Derek Lockwood of Saatchi & Saatchi Design Worldwide, says the spa capitalises on the unique space by incorporating a rooftop bar and tranquil Zen areas. “You would never expect a spa of this size and design to be situated on a rooftop. It will definitely have the wow factor.” And it does. Spring was shortlisted by The Bali Bible as one of the island’s best spas in 2015, noted for its excellent value for price. A review of its extensive treatment menu – anything from a blissful massage to charcoal facial – will make any guest eager for multiple therapies. Spring’s unique social concept makes it an ideal all-day spa destination. With both outdoor and indoor spaces, Spring is able to offer group treatments for bridal parties or girlfriend birthdays. Polish Up: Next, get ready for dinner and drinks at Tiger Palm by popping over to Vita Luxe Nail & Beauty Bar, a full service nail salon with a Parisian boudoir concept. It’s well equipped if you are a hen’s party, with 7 massage pedicure chairs, 10 manicure stations, and three private waxing and eyelash extension rooms. From classic & spa manicures and pedicures, to nail art, nail extensions, waxing, threading, and eyelash extensions you can glam up to your heart’s content. Choose from the widest range of Morgan Taylor and Deborah Lippmann nail lacquers in gorgeous shades and enjoy the service of highly trained salon professionals in cute French maid uniforms. As the sole distributor of Gelish (Hand and Nail Harmony) in Indonesia, Vita Luxe uses cutting-edge products from Gelish in their Nail Extension services. Nail your beach holiday look, here! Get Gorgeous: Part of the Toni & Guy group of salons, Essensuals Hairdressing takes hairstyle and hair care super-seriously. Say goodbye to the dreaded island frizz that is generally part and parcel of tropical humidity. Instead, look forward to sleek, shiny locks in this two-decade old establishment founded by Toni Mascolo and his progeny, Christian and Sacha Mascolo. Apart from their Hair spa that offers superlative hair care, Essensuals places equal emphasis on cut and colour within a holistic environment that prioritises client comfort and wellbeing. In the mood for an incredibly relaxing shampoo and head massage; followed by a blow-out for salon-perfect hair? You know where to head. Marketplace at Seminyak Village welcomes you to Bali’s artisanal fare. It is a family-oriented space that nurtures the entrepreneurial spirit of the island, showcasing its deep artistic roots. It’s also somewhere you can come and have a coffee and be inspired by the heart and culture of Bali. On the walls you’ll see prints of work from the children’s book by Sandrine Soimaud: My Life in Bali, illustrated by Edith Baudrand. The art represents the soul of Bali that is essentially community-driven, this is evidenced even in the book’s credits, where Soimaud pays homage to Made Suradiya, while Baudrand credits assistance to Wayan Leppo. Such is the spirit of Bali. There is a sense of interdependence and connection, wherever you go. 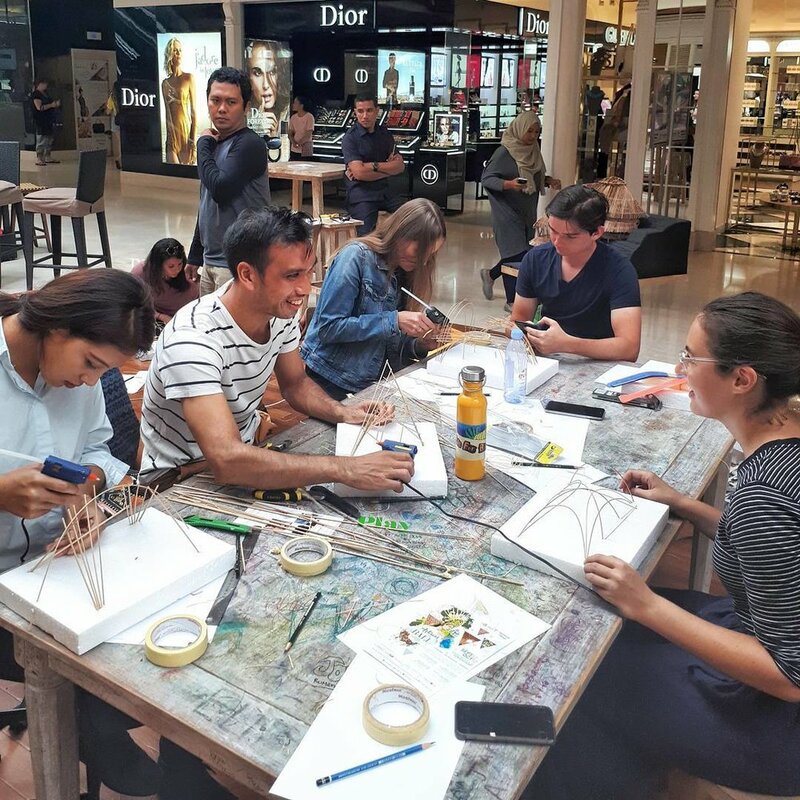 This ethos is carried through here in Seminyak Village’s very own Marketplace where artisans, creators, designers, jewellers and entrepreneurs gather to trade in a modern open-concept market. Together they create a lively atmosphere where traditional ideas are given a contemporary twist. Over 20 traders share their ideas in a relaxed and festive environment. The Marketplace offers creators and startups the opportunity to showcase in an international setting. 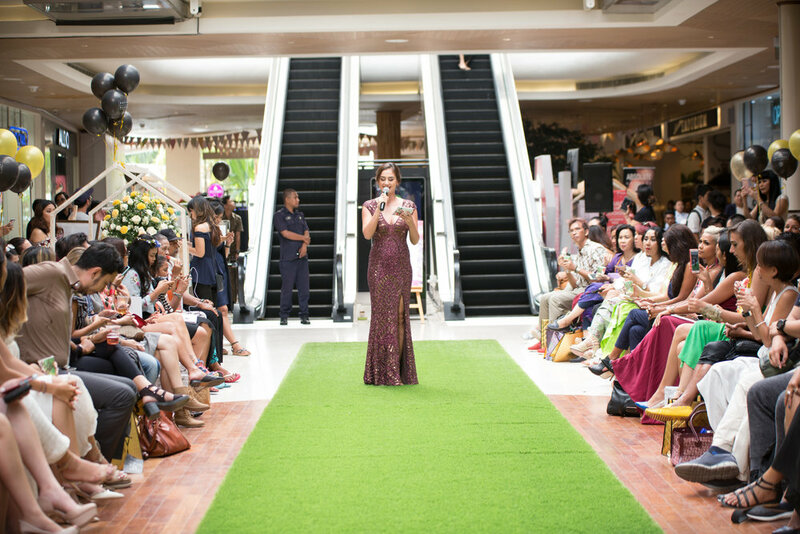 Support Bali’s creators and craftsmen at Seminyak’s first lifestyle market. It is a destination of all ages, filled with collectibles and keepsakes, from artisanal textiles, fashion and accessories to beauty and well-being products and so much more. Bali’s visitors and residents are invited to share in the magic and culture of the island by coming to Marketplace. Have a cuppa, pick up a trinket for a loved one back home, talk to a fellow traveller and be inspired by the community spirit that makes Bali, what it is. Graze through the day from 10am to 10pm on Indonesian comfort food, high tech ice-cream or artisanal coffee. Seminyak Village is one of the few spots in Bali that offers a delectable range of cuisines in one beautifully air-conditioned space. With natural sunlight that streams through the atrium, you feel like you’re outdoors, sans heat and humidity. It’s a little piece of paradise, on this Island of the Gods. All the natural goodness and super-food you need to get your day started. Founder of Café Darling Lita Gunardi is determined to serve the healthiest treats, from tasty fresh juices and smoothies, and acai bowls. Her approach? 95% of her ingredients are sourced seasonally and locally so they are organic and fresh. Tip: Add a shot of moringa powder to your favourite pick-me-up. The moringa plant is native to Asia and commonly found in Indonesia. With anti-oxidant properties it helps stabilize and calm the skin. Simply grab a take-away artisanal coffee from Wahrung and head here to chill out and chat with a fellow traveller as you browse through a selection of quirky-cool goods from home-grown Bali-based designers. Creator of Tiger Palm is chef Will Meyrick, a well-known name in Bali for his street chef-style and penchant for cool design environments. Tiger Palm is an all-day dining concept that is influenced by Peranakan flavours and spices. A watering hole in its own right, the bar here serves inspired cocktails that might make a world-class mixologist put it on their bucket list. Tip: For a great bar snack to go with those cocktails, try the Jalan Alor Smoked Chicken Wings. Nitrogenie is equal parts innovation and fun. It has both the science of creating ice-cream using liquid nitrogen to flash freeze the ingredients, and the whimsical charm of a genie (evident from its logo) and his many colourful flavours and ingredients. 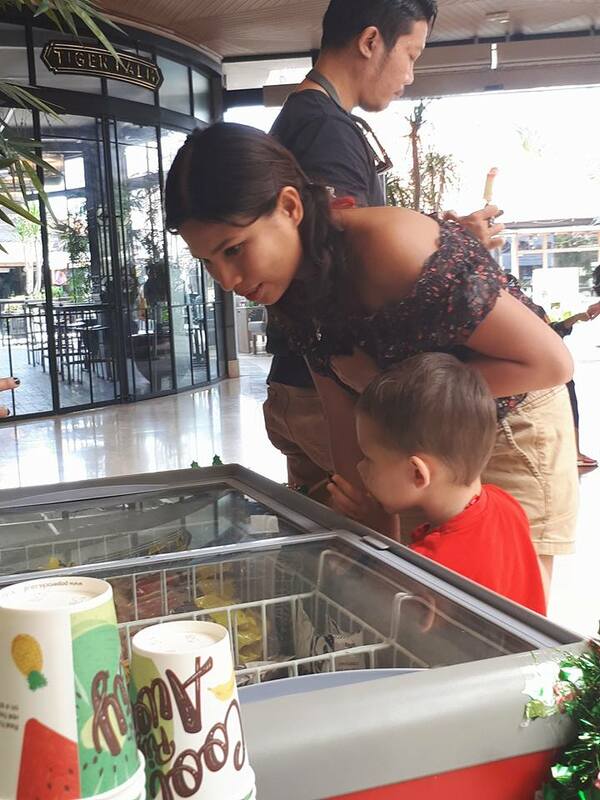 As every ice-cream is handmade to order, freshness is guaranteed. Tip: If there is only room for one flavour, it has to be the Salted Caramel Popcorn. Wahrung’s advantageous atrium seating catches Bali’s gorgeous sunrays that permeate the mall’s glass dome. This is best enjoyed with delicious chocolate desserts, French pastries, a hot cuppa or Wahrung’s famous boutique coffee. Tip: Do not miss out on the Smoked Salmon Tapas … Wahrung does bite-sized delights to perfection. So you’re headed to Seminyak Village with the love of your life. 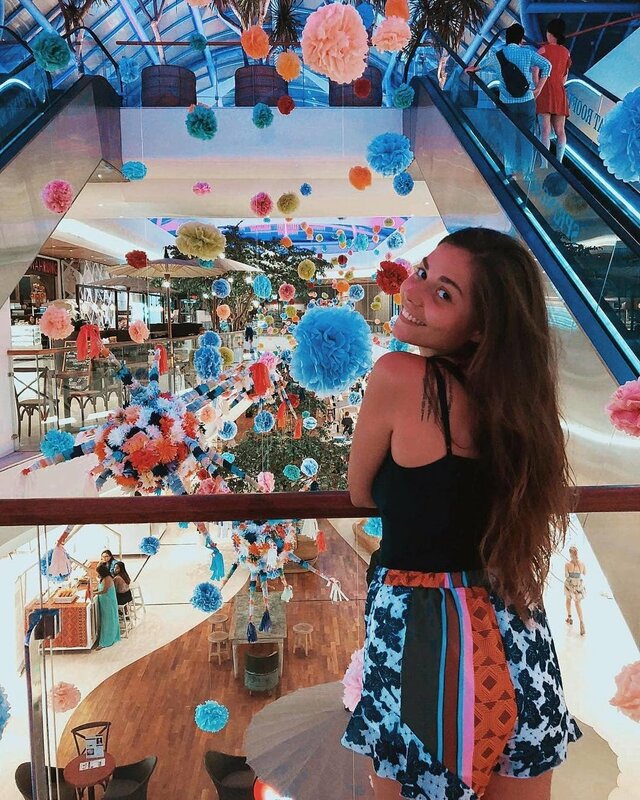 It’s a mall so sure, it’s paradise for her, but what’s in it for you? Seminyak Village is Bali’s iconic shopping mall that is redefining the mall experience. We are joining new names with reliable favourites to create a one-stop destination experience. You can eat, shop and chill with us in one day. Sounds good. Food’s more my deal but what would really impress her? Tiger Palm. You can tell her it is a new dining concept by award-winning street chef Will Meyrick with all the cool touches and excellent food you associate with Will’s restaurants. Jamu-inspired cocktails and cuisine with rich Malaysian flavours await her. Expect aromatic curries, crispy bites and the freshest produce all brought together in a space that speaks to vibrant hues and rich textures. Must-try Cocktail: SUPER MAGIC MAN Bulleit Bourbon, honey, star anise, magic pop, lemon, basil, port, citrus. What if I were to want to shop for myself? Where can I go? Head first to MC2 Saint Barth, Italy’s best kept secret (you heard it first from us). They are a men’s resort brand that offers every clothing option, from linen shirts and casual T-shirts to swim shorts and smart trousers. Just next door at the multi-label M Resort are AQ/AQ and CLVII, two cult brands of London and Paris. Inspired by urban street wear and art, their apparel has got more attitude than Kanye. If you want something closer to Bali’s cultural identity, Naga by Milo is a store that has a shirt for every occasion. 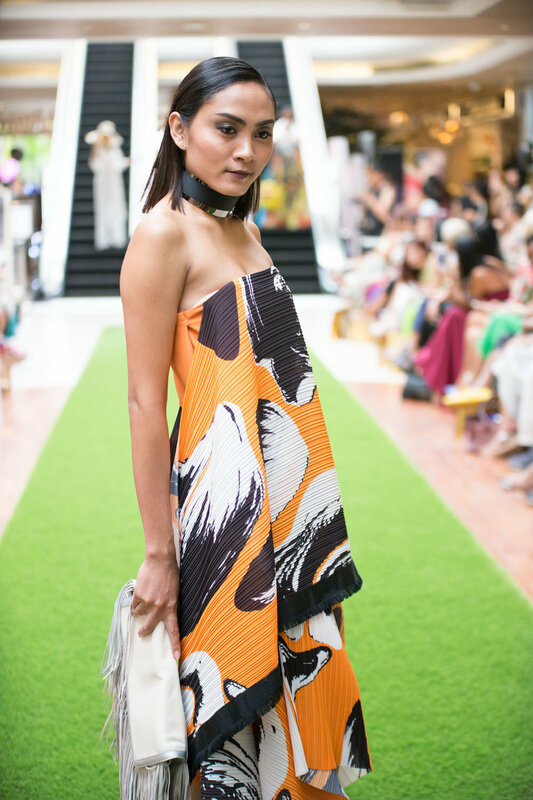 Designer Milo Migliavacca is an Italian-Balinese whose reinterpretation of traditional batik has made him a destination brand. At ODD (Our Daily Dose), Nike, Adidas and Puma have you covered from sports to play. If the dress code reads smart casual, go to Aldo and Rococo. Well. Now I need to accessorise. We got you. You’ll want to check out the designer eyewear selection at Optik Tunggal. There are the sportier styles of Oakley and Tag Heuer to dressier pieces from Cartier to Bvlgari. Otherwise INTime by Time International will have anything small to fancy to match your good holiday spirit, with timepieces from Bell & Ross, BALL Watch, Hamilton, Zenith and many more. Shopping mission accomplished. What can I do while she’s getting her vacay retail therapy? If you want to look your best, go to the good fellows at Toni & Guy Essensuals Hairdressing for a quick trim or shave. The Spring Spa at the rooftop has many services to help you pass the time as it’s highly likely you finish shopping before she does. Remember to book her a couple’s massage and you can thank us later. Where are you celebrating Easter? At Seminyak Village of course! Come and see what we have in store for you. A change of plans at the last second, time running out to find the perfect outfit, or just looking for the best tips on how to look stylish? Find out how you can get ready.